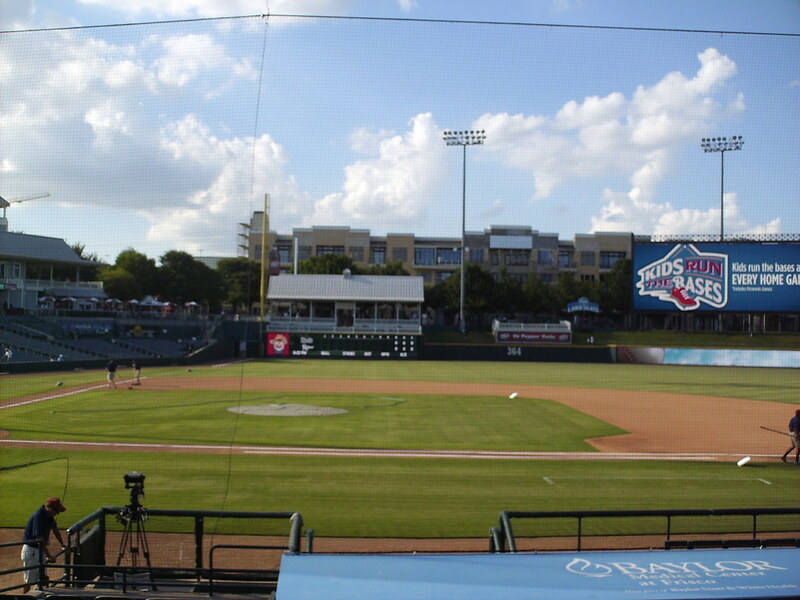 The view from behind home plate at Dr. Pepper Ballpark. 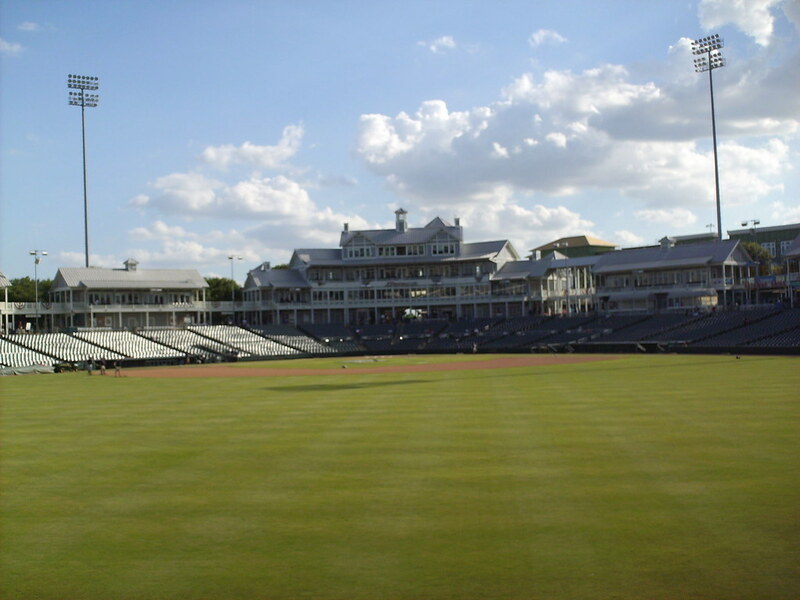 The grandstand at Dr. Pepper Ballpark, as seen from center field. 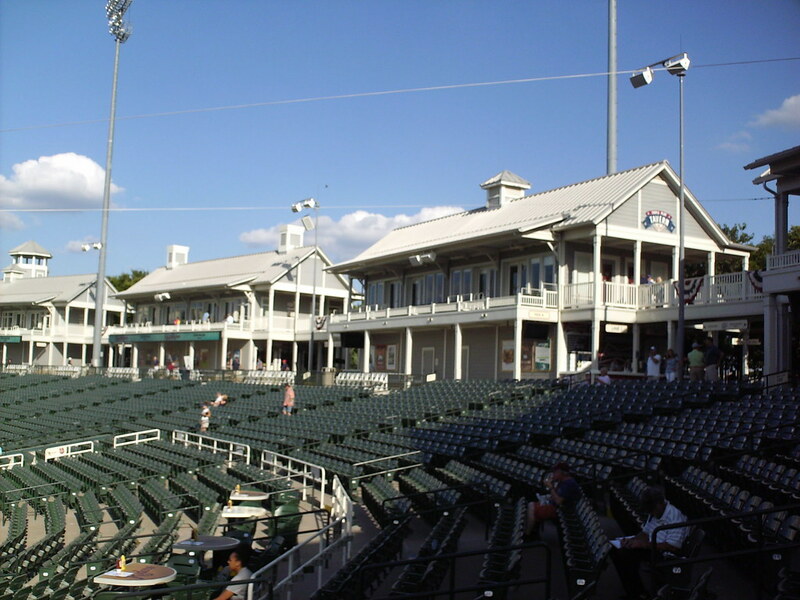 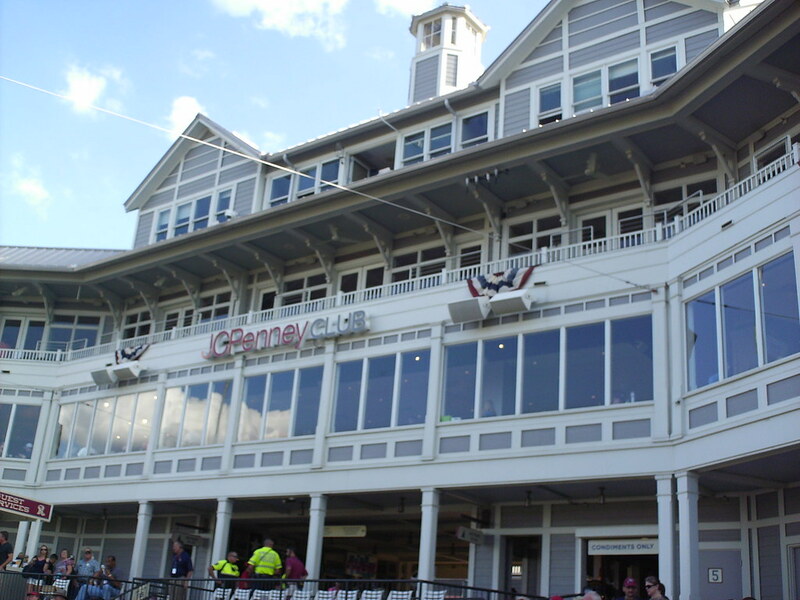 The pressbox and an enclosed club area reside in the large multi-story building behind home plate. 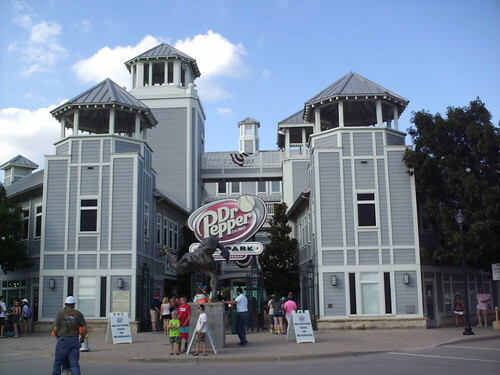 The luxury suites and concession stands at Dr. Pepper Ballpark are located in individual buildings that run along the top of the seating bowl. 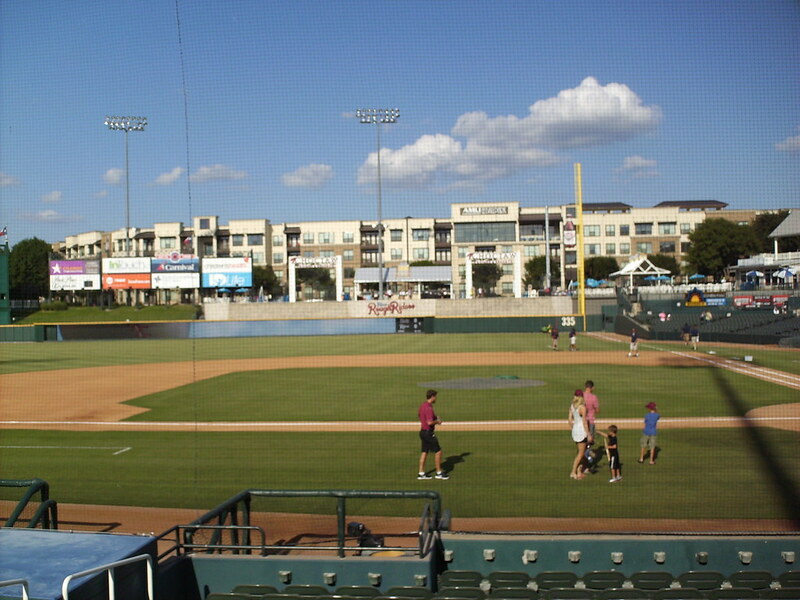 The buildings have a look of vacation home condos rather than the normal look of a baseball stadium. 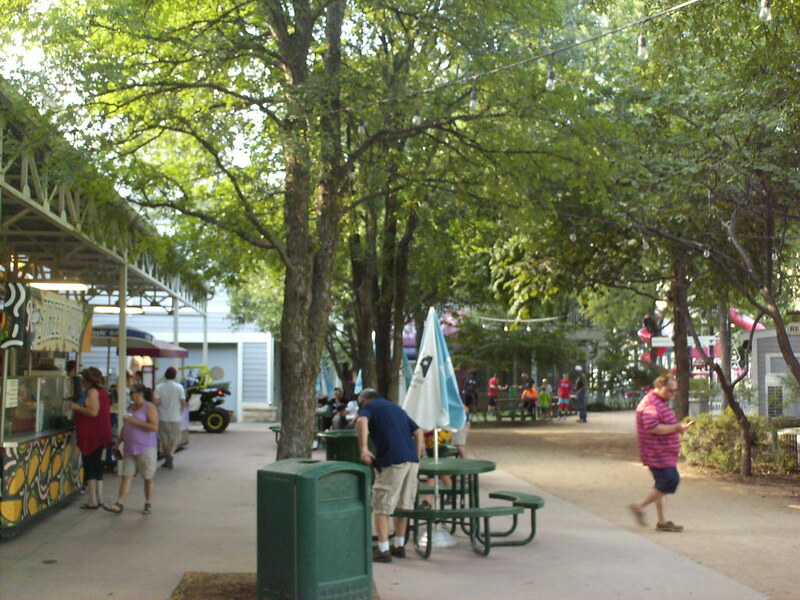 The unique look of the park extends to the concourse, which looks like a small street running through the vacation houses. 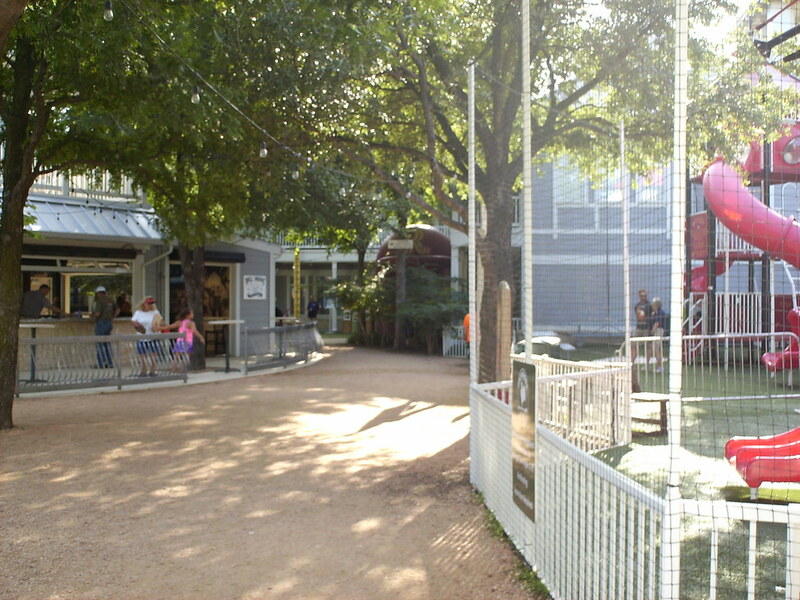 As the concourse moves toward the outfield it is shaded by trees and takes on the look of a park, with picnic tables for fans to enjoy the shade on hot Texas evenings. 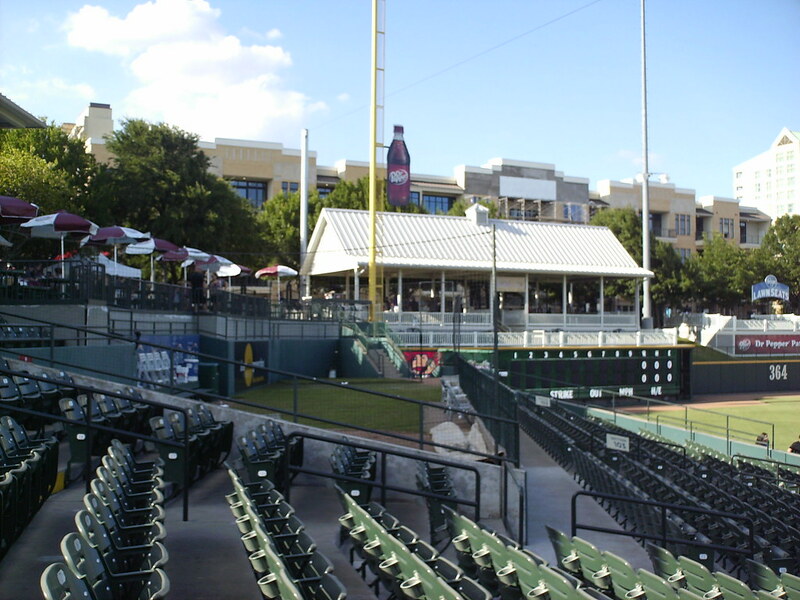 A bar and a children's play area sit in the left field corner of the concourse avenue. 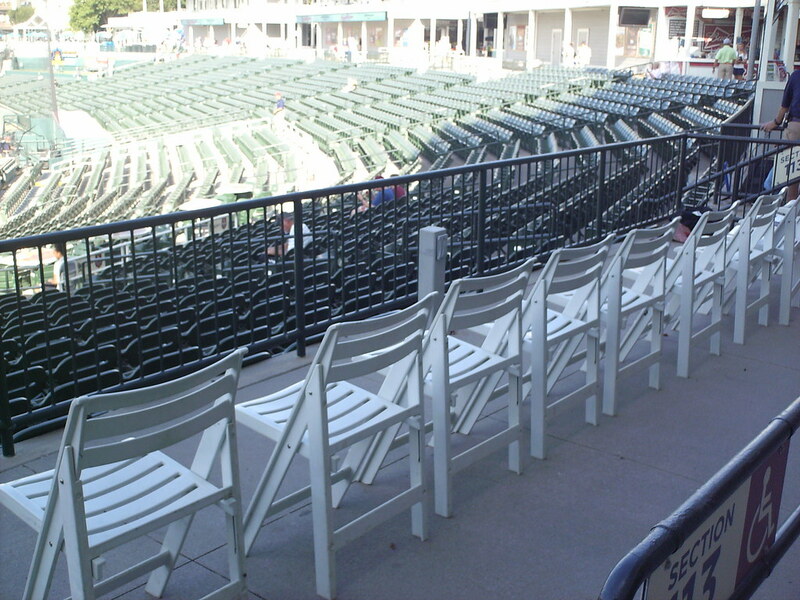 Handicap boxes at the top of the seating bowl include wooden patio chairs, rather than metal folding chairs, adding to the resort feel of the park. 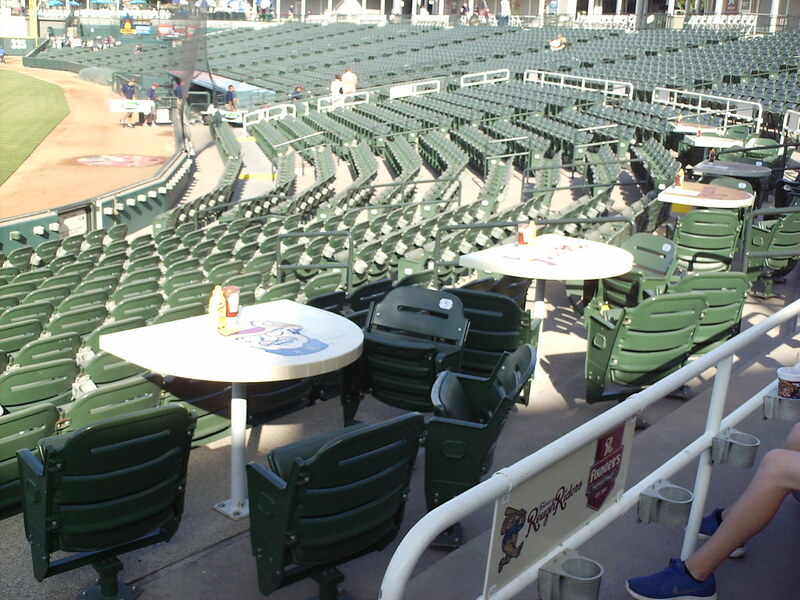 Four Top table seating runs through the middle of the grandstand behind home plate. 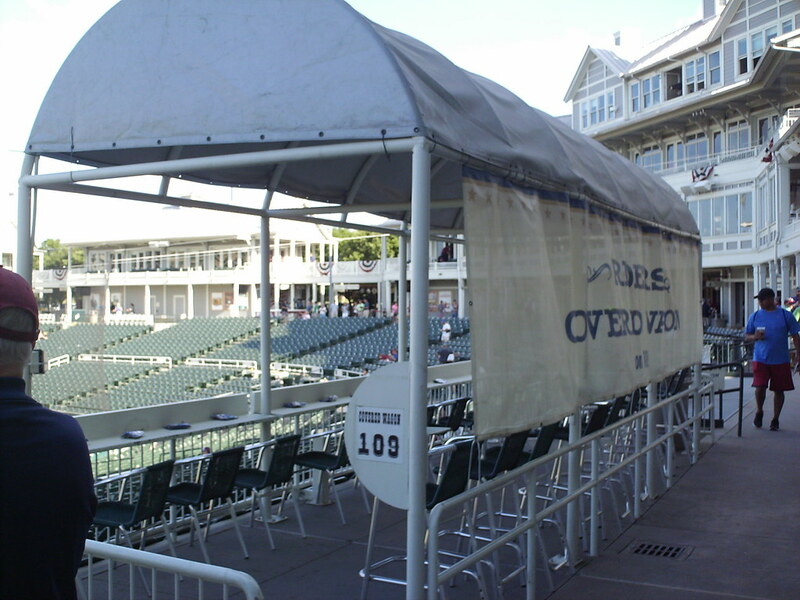 "Covered Wagon" boxes sit at the top of the seating bowl and provide shade and drink rails for groups of fans. 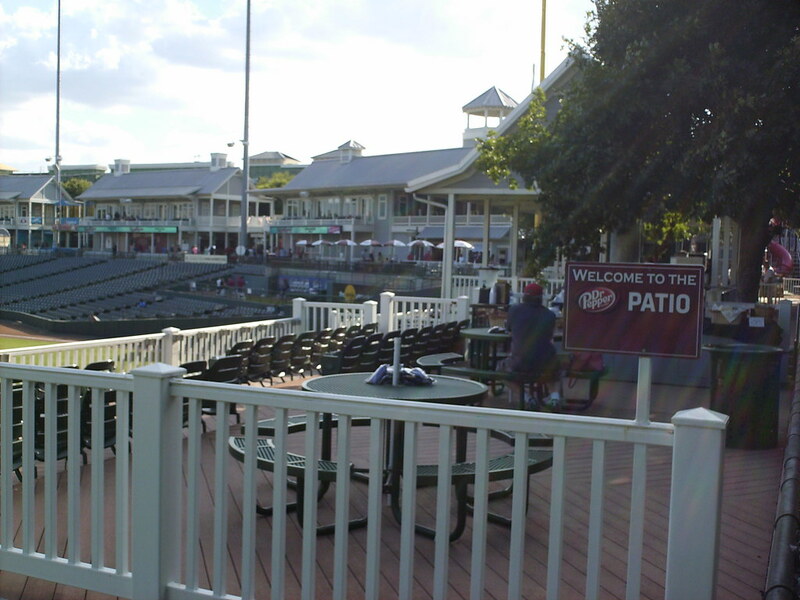 The Dr. Pepper Patio overlooks the field of play from behind the left field wall. 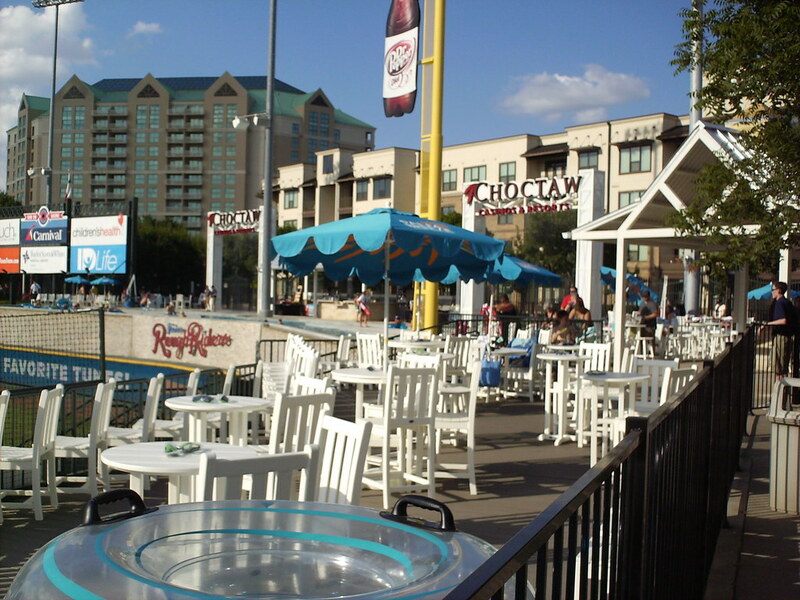 Beach themed table seating wraps around the right field foul pole. 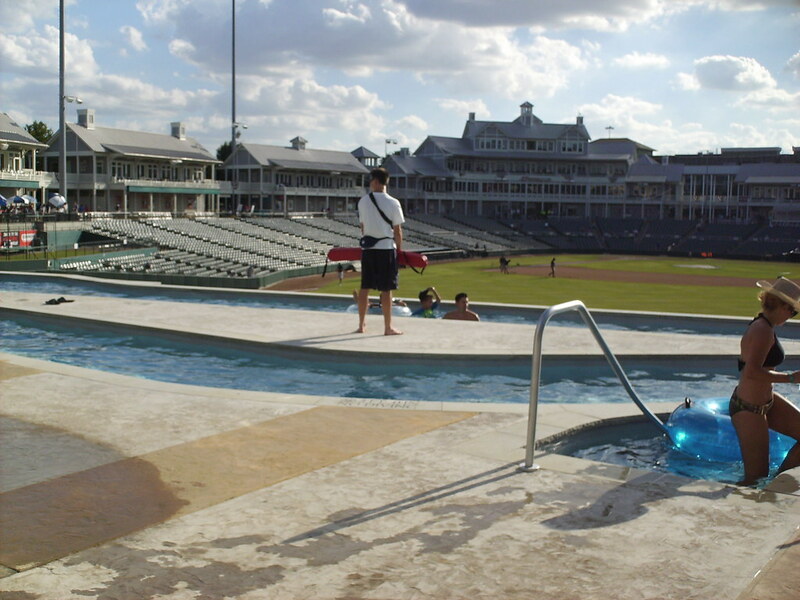 A Lazy River runs behind the right field wall, adding to the resort atmosphere of the ballpark and giving fans a unique view of the game. 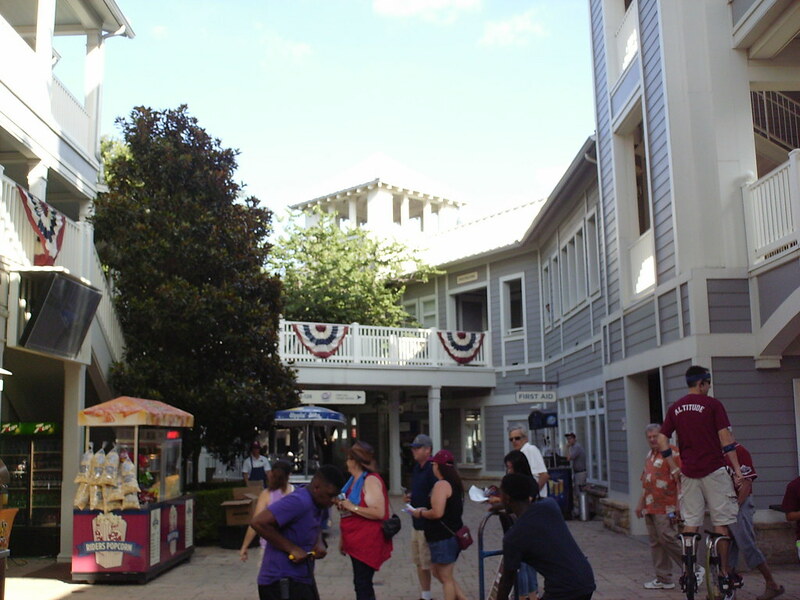 Walls of water flow behind the Lazy River. 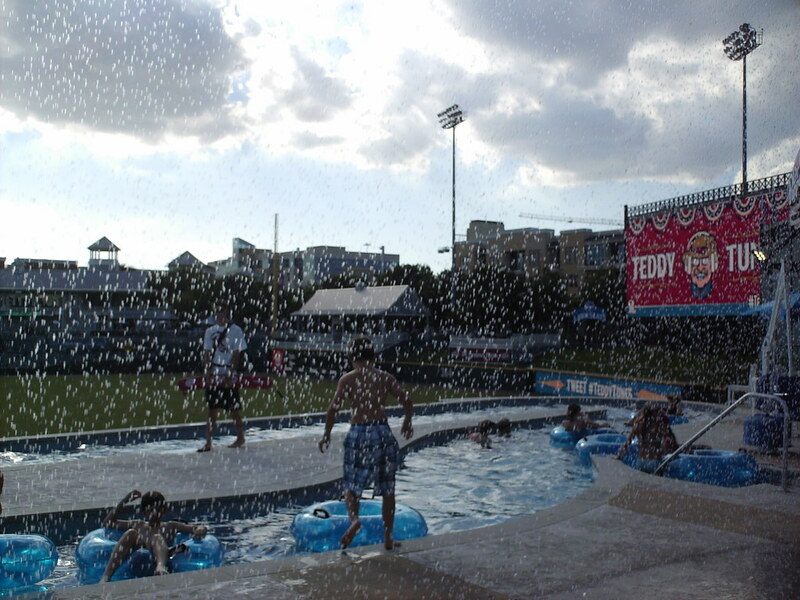 The waterfalls provide another wet attraction as well as a place for the team to project light shows on in the outfield. 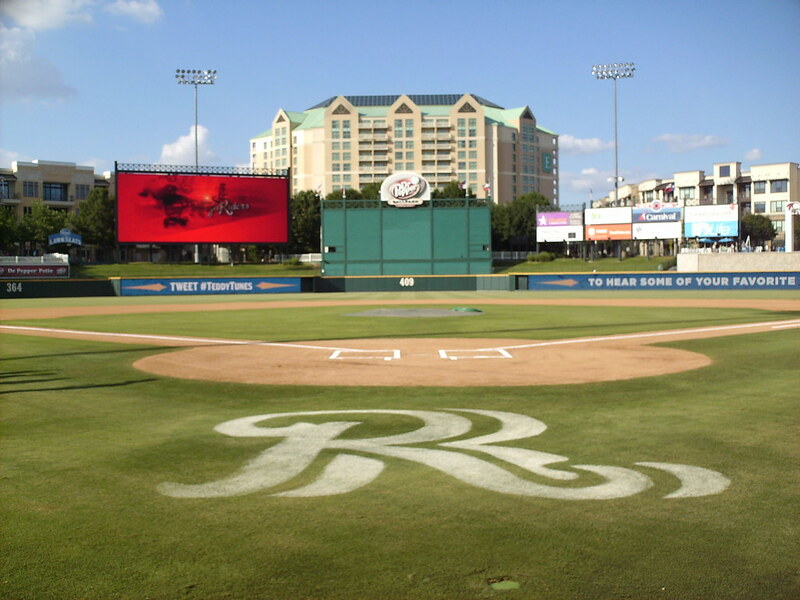 Large grass berms sit on either side of the batter's eye in the outfield at Dr. Pepper Ballpark. 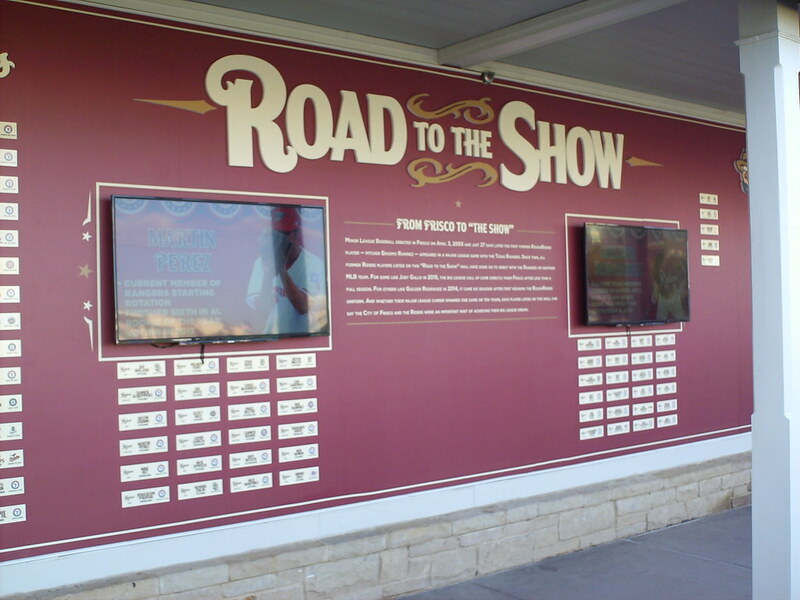 A large plaque on the concourse celebrates former RoughRiders who have made it to the major leagues. 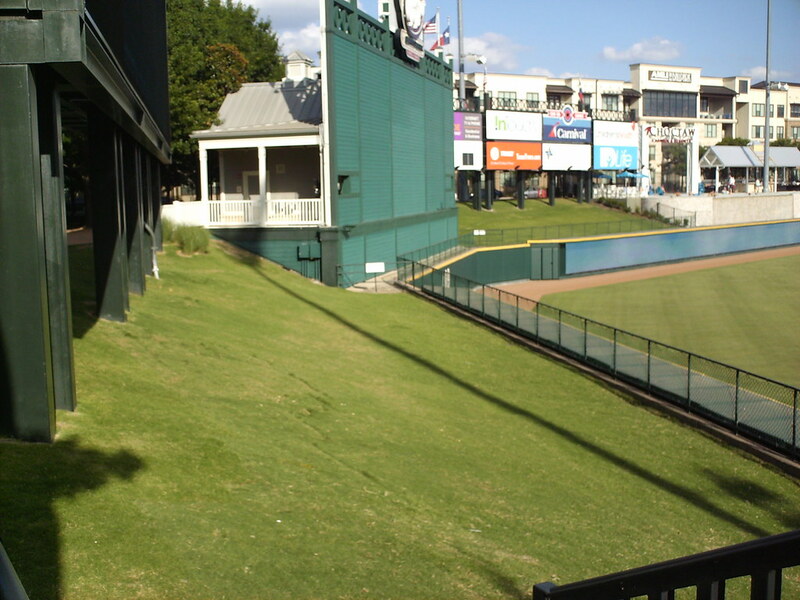 The bullpens are located in the middle of the seating areas in the outfield corners, so fans get an up close view of the relief pitchers warming up. 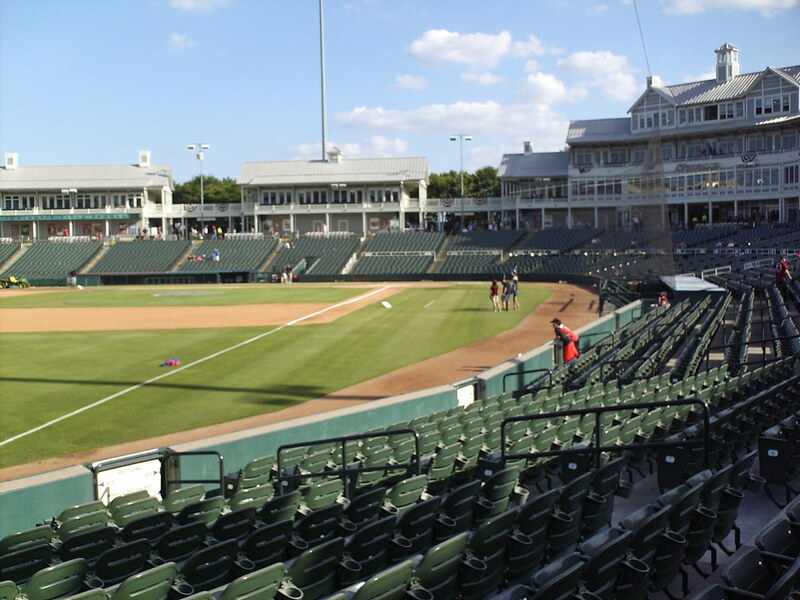 The park features wide areas of foul ground along the infield, which narrow sharply as the outfield seats wrap back around to face home plate. 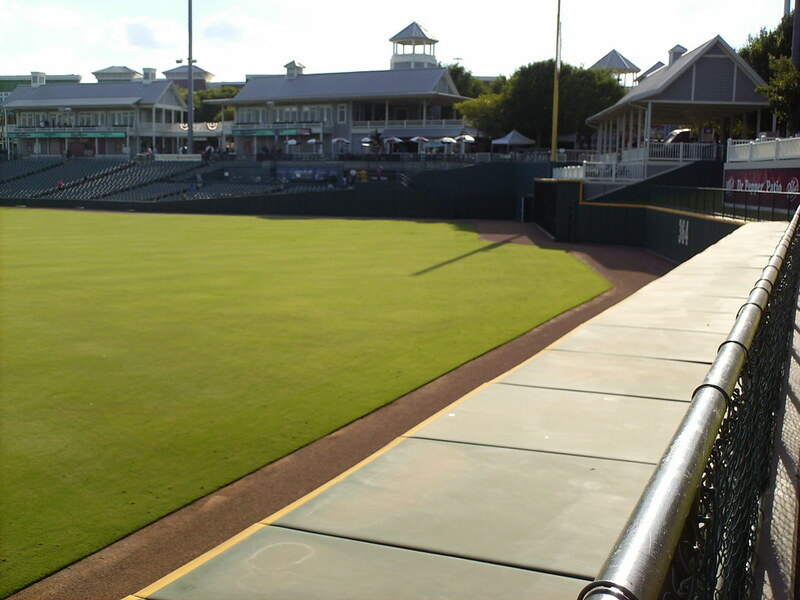 The outfield fence makes several sharp corners and changes height several times as it wraps around the playing field. 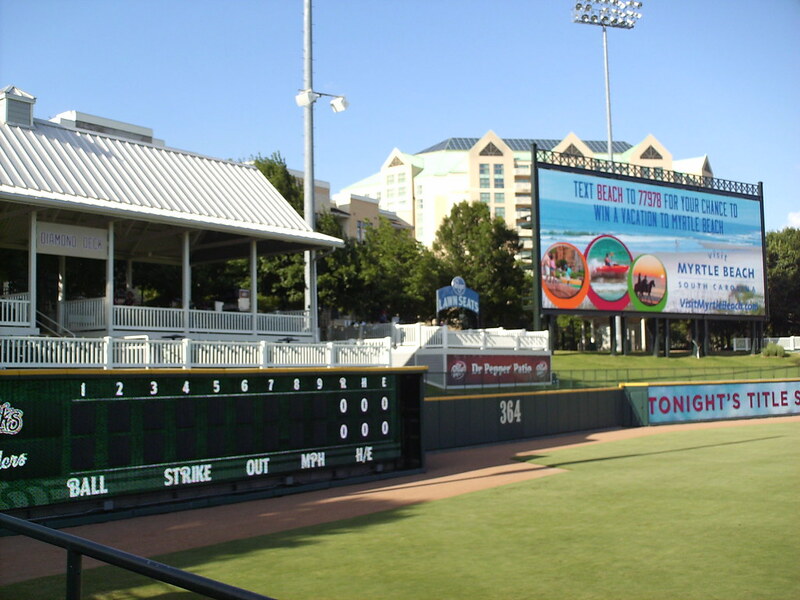 The park features a line scoreboard on the front of the left field wall, and a large video board in center field. 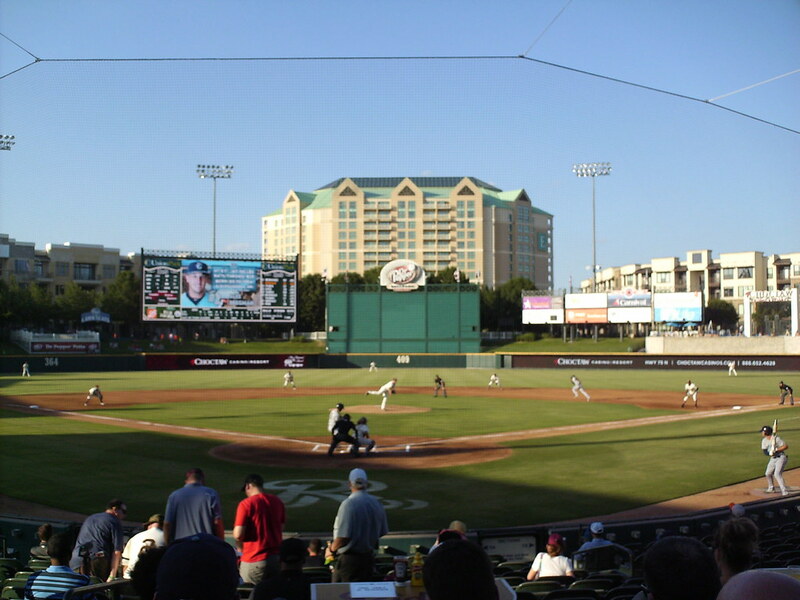 The Frisco RoughRiders on the field during a game at Dr. Pepper Ballpark.